If you choose to buy a product through the links on GoodBed.com, we earn a referral fee that supports our work at no cost to you. 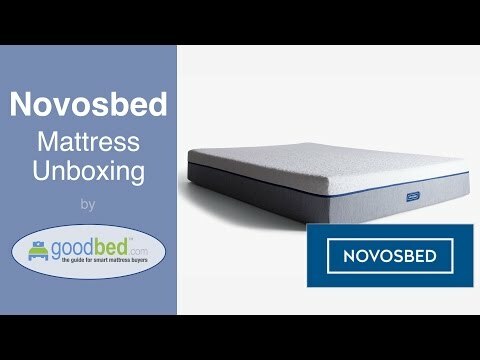 GoodBed's unboxing of the Novosbed mattress. The easier, better way to buy a mattress. Shop in the comfort of your own home. Try it there too. Sleep on a Novosbed for 120 nights risk-free. If you don't love it, return it for a full refund. Try Novosbed for 120 nights, risk-free. What makes our sleep trial risk-free? Free shipping. Your Novosbed ships for free and your trial starts the day you get it. Free returns. You don't pay a cent if you choose to return, we'll handle everything. Perfect firmness. Get a free Comfort+ adjustment kit to fine-tune firmness if you need it. 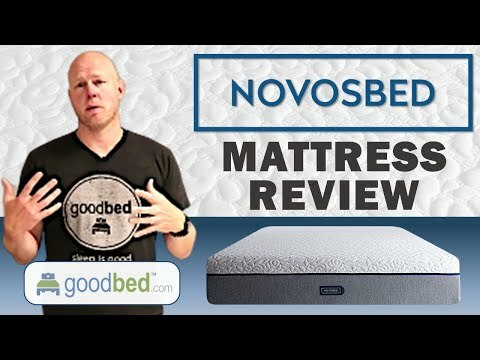 To decide whether Novosbed is the right choice for you, read GoodBed's expert review of the Novosbed mattress or watch our in-depth video review of the Novosbed mattress. Novosbed has 8 ratings and 3 reviews on GoodBed. Hmmm... We couldn't find any Novosbed stores near Fairfield, CT. You can try changing your location. Novosbed carries the mattress brands shown below. Call store first to confirm availability. Novosbed mattresses have 234 ratings and 58 reviews on GoodBed. Novosbed is recommended by 100% of mattress shoppers on GoodBed (based on 8 ratings + 3 reviews). Have you shopped for a mattress at Novosbed? Write a Review! Recommended by: 100% of owners on GoodBed (based on 8 ratings + 3 reviews). Policy: Comfort Guarantee -- Mattresses can be returned for refund for up to 120 days (after 60 day minimum trial). Novosbed is an online-only mattress retailer based in Edmonton, AB (Canada) featuring a specialized lineup of mattresses, including models from Novosbed. Novosbed is also the maker of the Douglas brand, as well as Logan & Cove. For information about the mattresses manufactured by Novosbed, please visit the Novosbed manufacturer page. Have an update or correction to our information about Novosbed? If so, please take a moment to suggest an edit. Grab this code before you buy for additional savings at checkout. GoodBed saves you time and money. for the info you need. No games. No pushy salesmen. No unwanted calls or emails.